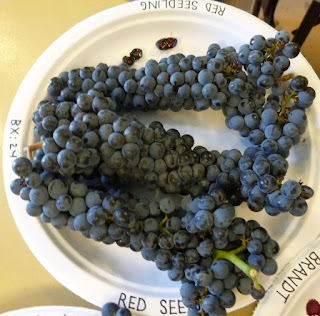 There was a fair amount of interest in Chateau Stripmine so I thought I would link to a couple of other grape enthusiast breeding and growing grapes under tough conditions. Chateau Bortnov is in Minnesota. My life in Viticulture is divided into two periods: life in Eastern Europe and life in the USA. Before 1996 I lived in an Eastern European Country - Republic of Moldova. In 1972 my father bought a small 0,5 acre vineyard in the suburbs of Orhei in central Moldova. 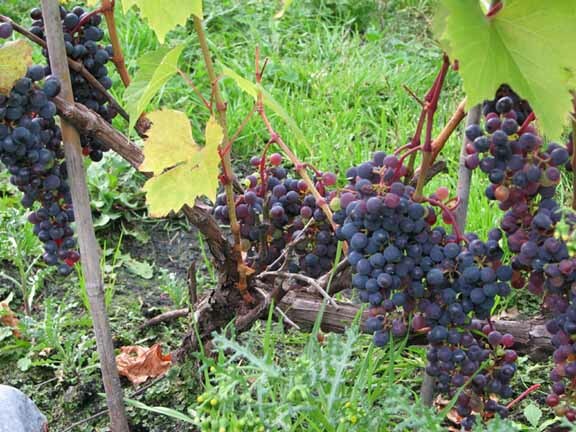 The vineyard was already well established and consisted of very good varieties of European Vinifera grapes, local Moldavian hybrids created by the Institute of Viticulture and Oenology, Academy of Science of Moldova. 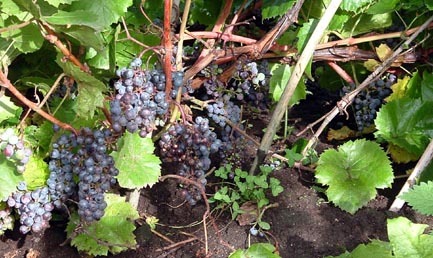 We also had a variation of different Labrusca grape varieties in our vineyard. By that time I was 11 years old and was involved in the process of taking care of grape vines together with my father. That process included pruning of grape vines, tying vines to the trellises during spring and summer, green pruning during growing season, tilling the soil around vines and between rows, pulling weeds, harvesting grapes, crushing grapes with a simple grape crusher into the barrels. 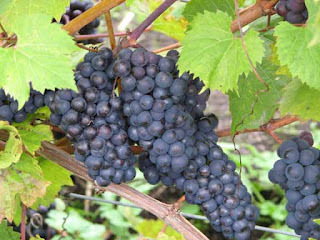 This is not one of Chateau Bortnov's varieties but it is pretty darned impressive. Now he breeds grapes in Minnesota. 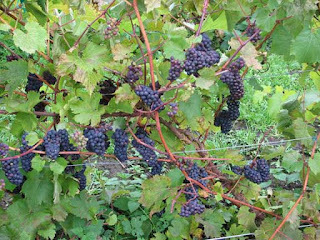 A page with the grower's assessment of some common and uncommon varieties under Canada's Maritime conditions. 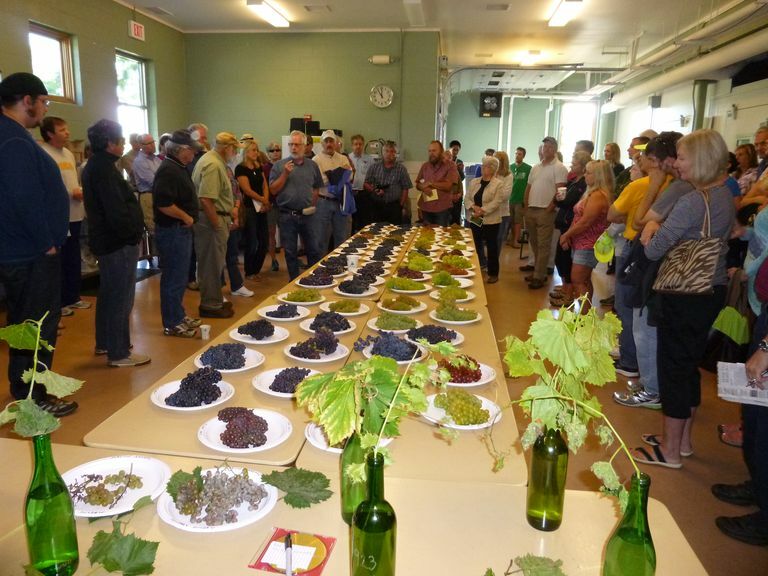 I see some green grapes on the table. Do they use those for wine? In Nebraska, most all of the grapes are reds of some sort and the wine production are reds and dessert wines. BTW Technically, NL is not in the Maritimes but rather part of Atlantic Canada. Climatically, it is closer though, especially around St John's, where the sea moderates temps.